Webster University students in the George Herbert Walker School of Business and Technology met face to face with recruiters seeking interns for the spring and summer at the annual Walker EDGE Internship Fair, co-hosted by the Walker School and Career Planning and Development Center. Over 60 students, faculty and staff attended the event. As part of the Career Planning & Development Center’s On Campus Recruiting Program, local companies visited campus to talk with students about part-time and seasonal opportunities on Tuesday, Oct. 17. 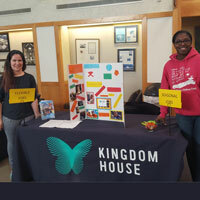 To kick off the Career Planning & Development Center’s Spring On Campus Recruiting, representatives from Kingdom House hosted an Information Table on Jan. 24 in the University Center Commons, sharing information about job opportunities with Webster students. Kingdom House, which provides critical social services to the poorest of the poor in St. Louis, is seeking dedicated and passionate students of Webster University to help with the new summer program. 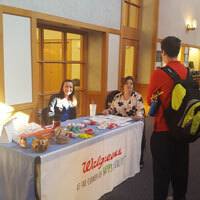 Over the last three weeks, St. Louis-area employers have hosted information tables in the University Center Commons area, promoting flexible, seasonal and part-time opportunities for Webster students. This summer Webster's Transition and Academic Prep (TAP) program assisted 37 new students for the transition to college academics and Webster University. Since 2011 this free program has helped almost 150 conditionally admitted students connect with the resources and tools they need to succeed. The Academic Resource Center is gearing up for the 2016 Summer TAP (Transitions and Academic Prep) program, which will be held from July 20-29. TAP is a free residential program for conditionally admitted Transitions students who are new to Webster. 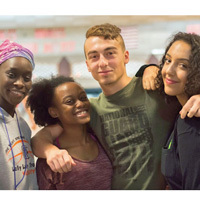 During TAP, students live on campus, take college courses and participate in campus workshops and activities to help them transition to university life. The Career Planning & Development Center, Multicultural and International Student Affairs office and International Recruitment and Services are collaborating to offer a workshop for student employee supervisors, Hiring International Students. The workshop will be held on Thursday, July 14, from 2-3:30 p.m. in the East Academic Building, room 137. YWCA hosted an information table in Webster Hall on April 14, promoting the many opportunities available with their organization. YWCA is the voice of women’s issues, offering services in economic empowerment, racial justice and children services. Their immediate need is Early Childhood Education teachers, but offer opportunities for all majors. 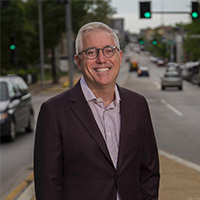 Join the Webster University Career Planning and Development Center for an interactive career search webinar on Wednesday, April 20, from 4–5 p.m. 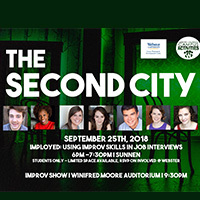 In this webinar, participants will learn how to find the hidden job market, position a resume for maximum impact, interviewing strategies and preparation tips. Hilton St. Louis at the Ballpark recruiters visited Webster University's home campus on March 3, as part of the On Campus Recruiting Program, to inform students about internships and flexible part-time and full-time opportunities with Lodging Hospitality Management. 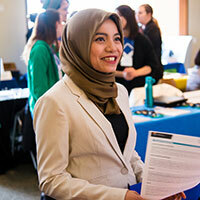 The Career Planning and Development Center and Students for Biological Sciences collaborated on a three-part career series to assist students in their comprehensive career development at the home campus. John Link, career advisor for the College of Arts and Sciences, provided information, tools, and resources for self-branding, targeted cover letter writing and interviewing skills. Students from the George Herbert Walker School of Business and Technology gathered in the Edward Jones Commons of the East Academic Building on Feb. 17 to meet with recruiters who are seeking spring and summer interns at the WalkerEDGE Spring Internship Fair. 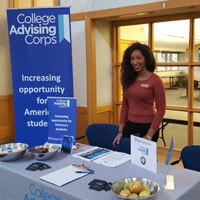 the event was co-hosted by the Walker School and the Career Planning and Development Center.